The large, upright blade rips the garments at the start of the shoddy-making process. The garment comes from Europe and on entry into the Indian market is ripped as secondhand garments must not be in a sellable state as they enter the country. 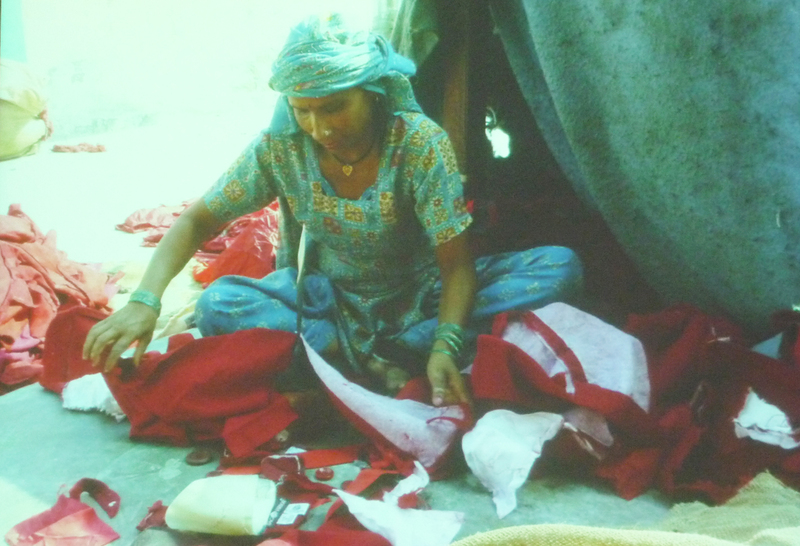 This image and documentation of this garment journey, cycle and process is part of Lucy Norris’s exemplary research that culminates in Recycling Indian Clothing (published by Indiana University Press, 2010).